GST — is a comprehensive tax levy on manufacture, sale and consumption of goods and services at a national level. The implementation of GST will lead to the abolition of other taxes such as octroi, Central Sales Tax, State-level sales tax, entry tax, stamp duty, telecom license fees, turnover tax, tax on consumption or sale of electricity, taxes on transportation of goods and services, et cetera, thus avoiding multiple layers of taxation that currently exist in India. Goods and Service Tax (GST) is an indirect tax levied on supply of goods or services or both. It is a destination/consumption based tax levy which is payable in the state in which the goods and services are consumed. It is levied and collected on value addition at each stage of production or distribution process (all points in supply chain). Central GST (CGST) Centre Intra-state supply of goods or services in India. Integrated GST (IGST) Centre Inter-state supply of goods or services, Exports and Imports. Central Excise duty will continue on petroleum products. States will continue to impose sales tax on sale within the state on petroleum products and alcohol for human consumption. Analysis of business areas that are anticipated to be affected by GST. Identify all/every potential issue in IT systems to address compliances that still remain out of IT systems ambit. 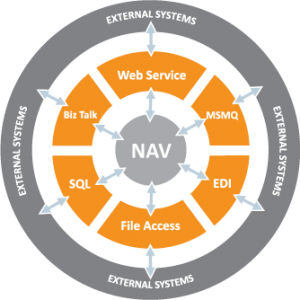 Upgrade current IT/ERP systems to appropriate version to install the patch application. Careful mapping of modified business environment related to interstate stock transfers, subcontracting, tax-related inward and outward processes etc. Modify/upgrade in tax calculation procedures and change requirements for monthly tax returns. Modify/upgrade necessary master data amendments i.e. amendments in chart of account, material master, vendor master, customer masters, price masters, etc. Transition of tax credits from pre GST Tax to post GST Tax. Transactional adjustments for return of goods sold or purchased before GST and returned after GST implementation, stock in transit. User acceptance test (UAT) and post implementation support servicesWe recommend that you contact your Microsoft Dynamics Partner before installing service packs or hotfixes. It is important to verify that your environment is compatible with the service pack(s), hotfix(es), or download(s) being installed. A service pack, hotfix, or download may cause interoperability issues with customizations, and third-party products that work with your Microsoft Dynamics solutions.